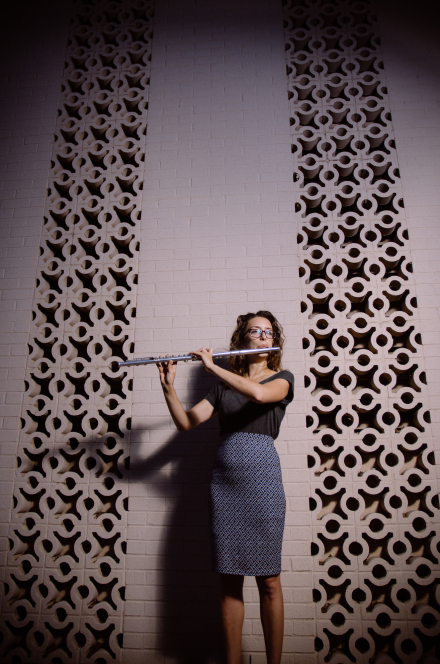 We caught up with Kristine Reaume, a flutist who won The Manilow Music Scholarship at Eastern Michigan University fifteen years ago! She recalls, "I was so flabbergasted when I found out I'd won the competition. I remember sitting in the audience and listening to a few other friends who were playing. This clarinetist was playing Mozart and just killing it. She played with such finesse and grace and poise, I thought for sure she had it in the bag! It was an incredible feeling that others could see the hard work and dedication and emotion I was putting in my music. I knew I had something special, something about music clicked with me but it never seemed like something I wanted to seriously pursue. Something about winning that competition pushed me more into that direction." 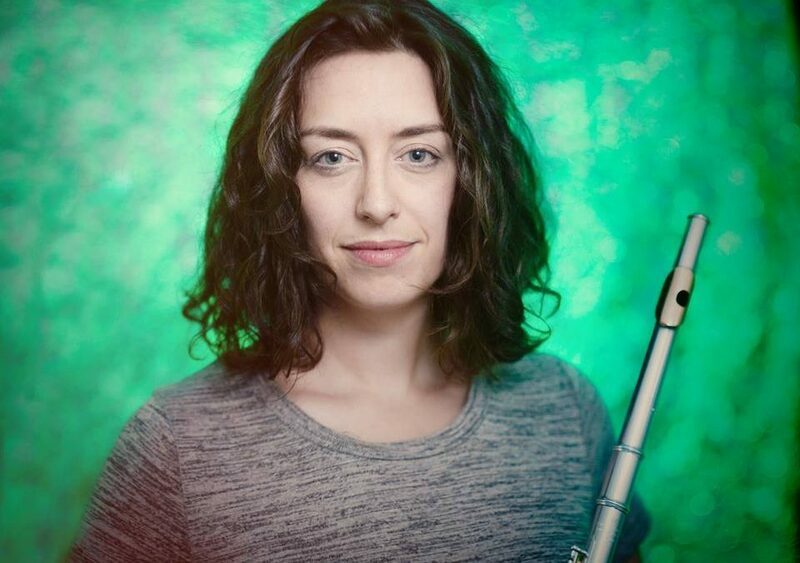 Kristine has a penchant, she says, for playing quite loudly, which is not easy to do on the flute. When asked why she won she says, "I think they saw something special in my playing, perhaps they were taken aback by hearing such a loud flutist! I think I have a unique musicality and expression about the way I play, and that came across. I put it all out there!" Like many other Manilow Music Scholarship winners, Kristine says winning the scholarship was a huge boost in her self confidence as a musician. "I've never been one to brag or relish in my accomplishments, always searching for how to improve and play more efficiently. It was an incredible boost in my self-esteem. There are so many musicians in the world, how do you even know if what you're doing is any good? I remember that year after I'd won, one of the band directors mentioned something to me about how I was the big flute player on campus. I shrugged it off at the time, but I still remember that comment and feeling like I really had something to offer." After EMU Kristine applied to grad school at the University of Texas, Austin. It was her "reach school" but she was accepted with scholarship money! "It was beyond my wildest dreams. I had the best two years of playing in my life while I was there. I have been loving life in Austin ever since. I work primarily as a private lesson teacher. I also freelance and play in a band with my husband. I've played with local orchestras, Round Rock Orchestra and the Temple Symphony, played for musicals at the Zach Scott Theater, and basically whenever someone calls! I also play in a flute quartet called the Austin Flute Project, we've played at the National Flute Association Convention several years. I'm so happy to be in such a supportive place where I'm able to play in such diverse ways: orchestral, musical theater, rock. I played for Irish dance classes for a time. It's amazing to be able to flex my chops in all sorts of fun ways!" Kristine lives and breathes her passion for music, which she inherited from her first teacher, her mom. "I'll never forget my mom's face after my master's recital. She had this look of awe and tears in her eyes and said something like, 'You've become a far better musician than I'll ever be.' It was so special to have that moment. We still play sometimes together (flute and piano) when we can." Kristine and her mother will have to start a trio when she welcomes her first baby to the world in July! Congratulations to you and your husband, and thank you from all of your friends at The Manilow Music Project for bringing the gift of music to a new generation of young musicians. Learn more about Kristine at kristinereaume.com.